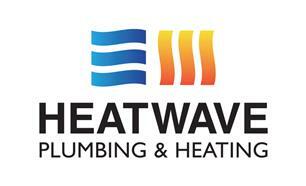 Heatwave Plumbing - Central Heating Engineer, Plumber based in Cheltenham, Gloucestershire. Heatwave Plumbing & Heating have been in business for 10 years. We provide quality domestic Gas, Heating and Plumbing services across Cheltenham, Gloucester and The Cotswolds. Please call for a free quote or to book on 07525-053054 We offer boiler repairs and servicing. Boiler installation and boiler replacement. Gas cooker and gas fire installation and servicing. Full heating systems installed. Gas safety certification. We also provide all trades under one roof bathroom installation (including plumbing, electrics, plastering, tiling and decorating). Service comes with a helpful can-do attitude and is carried out in a tidy and efficient manner and to a high standard. All domestic plumbing work welcome, no job too big or small! Full property hot and cold water systems. Unvented hot water conversions. Leak investigation and repair. Tap repairs. WC repairs. Washing machines & dishwashers installed. Whatever you need, we can help. Our pricing is clear and competitive and we provide excellent service.